The World Atlas of Wine, 7th Edition – My Home Wine Bar ! Amazon Price: $60.00 $38.18 You save: $21.82 (36%). (as of February 3, 2019 10:27 am - Details). Product prices and availability are accurate as of the date/time indicated and are subject to change. Any price and availability information displayed on the Amazon site at the time of purchase will apply to the purchase of this product. Hugh Johnson and Jancis Robinson Have Completely Revised And Updated Their Definitive World Guide to Wine ! 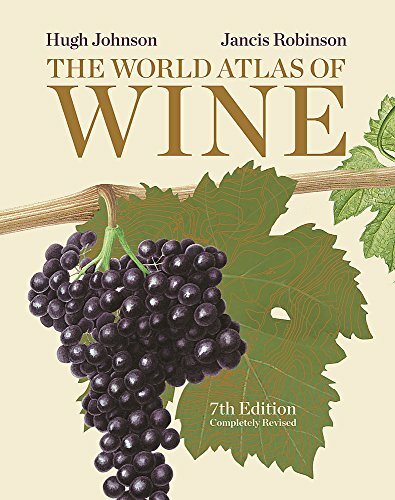 The seventh edition will confirm the status of The World Atlas of Wine as the most essential and authoritative wine reference work. Reflecting the changing nature of the wine scene, the Atlas details developments in climate, technique and fashion as well as new regulations made over the last six years. A new Australian map highlights the importance of cool-climate regions as global warming takes effect, for example,while dynamic regions such as coastal Croatia, South Africa’s Swartland and Ningxia in China are covered for the first time. The world’s increasing appetite for wine is matched by a growing thirst for knowledge,which this book will amply satisfy.